The more work I took on, the angrier my wife got – she didn’t like me being out of the house for long periods of time. The controlling behaviour started to get out of hand and she demanded that I cut my hours. After a long time trying to stay in the marriage, I decided to leave for good. Without a word to anyone, not even family, I packed up and left… I went missing for 10 years. On leaving, I camped in thick woodland near Kingston, and made that home for five years while maintaining the gardens at a local community centre for the elderly. You know you’re a terrible significant other when your partner would rather crap in the woods and go without hot water and regular meals for a decade than spent another second with you. The documentary Salinger on Netflix is very interesting, and not only because of the countless fans who would show up unannounced at J.D. Salinger’s house and leave notes asking for “some answer to something in their lives,” the journalist hired to sneak a photo of an aging, highly reclusive Salinger, or even John Lennon’s killer’s obsession with Catcher in the Rye that stuck me about the film. It was his repeated relationships with underage and much younger women, which are highlighted in detail for the duration of Salinger. 1. In 1941, at age 21, Salinger began dating 16-year-old Oona O’Neil, “debutante of the year” and daughter of Nobel prize-winning playwright Eugene O’Neill who was photographed by yesteryear’s paparazzi at clubs with a glass of milk because she wasn’t old enough to consume alcohol. 2. In May of 1946, not long after suffering a nervous breakdown during his time in WWII, Salinger met and married Sylvia Louise Welter, a member of the Nazi party. At 27, she was hardly underage, but this relationship is interesting not only because Salinger himself was Jewish but because it only lasted less than a month after they had returned to the States. 3. At age 30, after his annulment to Sylvia Louise, Salinger began a platonic relationship with Jean Miller, then 14, who describes walking along the pier and sharing popcorn and ice cream with him. “I was fresh and new like a breath of spring,” she says. 4. 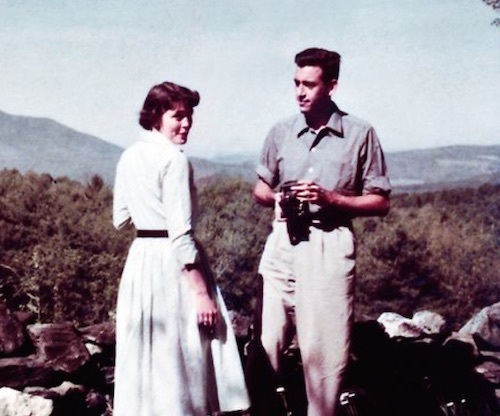 Salinger met his second wife, Claire Douglas, when she was 19. They married when she was 21 and he was 36. The 15-year age difference wasn’t the problem, it was his refusal to attend to Claire or his children while writing Franny and Zooey in a shed on their property. Thinking back on the guys who sat around the poker table, what distinguished Jerry out of that pack was that there was in him no doubt that he was going to be published, no doubt that he had an enormous talent, and no doubt that everybody else at the poker table was inferior to him. 5. In 1965, after Salinger, 54, published his very last story, he sent a letter to 18-year-old writer Joyce Maynard after she appeared on the cover of New York Times Magazine. They lived together shortly, but the relationship ended when Salinger told Maynard he was not interested in having any more children. She went on to write about her time with him, which of course made Salinger almost as irate as the time his editor put a comma in one of his short stories without his approval. Usually we read short paragraphs about Rihanna‘s relationship with Chris Brown in fairly spaced-out interviews. Her latest, in Rolling Stone, is the anabolic-steroid version of that. As in, MORE paragraphs about why Chris Brown is good for her which equals MORE hair-pulling from my side (and my “side” includes Lena Dunham, who doesn’t have very much hair to spare). Former Wendy’s clown Rihanna says she’s positive that Chris Brown will never hit her again. 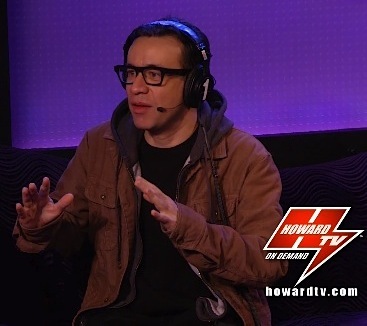 Armisen opened up about his relationship with Moss and [former] fellow SNL cast member Abby Elliott to Howard Stern on Thursday, Jan. 3. “I think I was a terrible husband, I think I’m a terrible boyfriend,” he admitted.